Italy is a big tourist hot spot in the global travel circuit, and I completely understand why! Get lost in any Italian city and you’ll immediately see why so many people have fallen in love, and continue to visit year after year. Fascinating architecture, a colorful history, and some of the world’s best food are just a few reasons why people are continually drawn to this beautiful nation. After spending sixteen days here with my family on an independent trip, and consulting with my sister who spent the summer living in Florence, I have compiled a list of eleven insider tips and must-do activities. This list will make sure your trip has the perfect combination of iconic Italy while also offering authentic experiences. Everyone who goes to Venezia wants to ride a gondola, and why not? It can be fun, romantic, and a great way to beat the heat and see the sights. Going in the peak of the day off of the main canal though is a bad idea! The gondoliers will hike up prices, making it almost outrageous. If you wait until sunset or early nightfall, and find a gondola in the back waterways, you will pay almost 60% less. In addition to saving money, it will be more quiet, isolated, and peaceful. Yes, you will still be able to see everything you want, but you don’t have to worry about bumping into 100 of your best friends on the water. The Island of Capri itself is a heaven on Earth, and taking a boat out to the famed Blue Grotto will make you feel as though you are truly there. Sitting in your small boat, you wait for the tide to drop, and then enter a tiny hole in the rock face. Once inside the grotto, the outside sunlight magically illuminates the cavern water to make it shine in the darkness like something out of a dream. The beautifully eerie singing of the boaters, combined with the glowing water, is a true bucket-list experience. Brave travelers can even jump out for a swim inside this mystical cave! 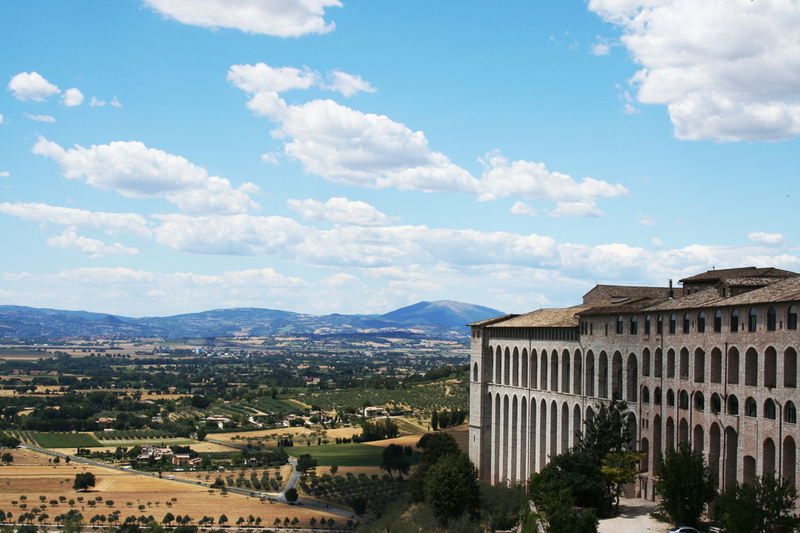 Assisi is an Italian countryside gem! Whether you are interested in the life and legacy of the Catholic Saint Francis, or just want to see what small town Italy can be like, this place is definitely worth a visit! You can take a scenic hike above the city, visit one of two medieval castles, and then come back to town for a delicious meal. Essentially everywhere you stand has a postcard perfect view! If you make it to the Tuscany region, you should certainly take an iconic vineyard tour. Beyond that, you really must consider stopping by this character-filled medieval city. Sit in the main square, look up at the campaneli (church tower), and take a moment to relax and people-watch. 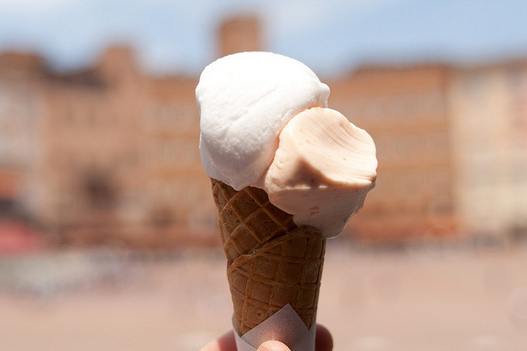 It will be a memory you won’t soon forget- and grabbing a fresh cone of gelato from one of the nearby parlors can only help make this memory sweeter! Many tourists visit Italy expecting that all the food will be AMAZING. They come with a dream of homemade pasta made by a little old Italian Opa ,and just know each bite will taste phenomenal. For many visitors however, this is nothing but a myth. If you stay near the main tourist areas during your trip, you will be privy to bland microwaved pizza, canned pasta sauce, and disappointing glasses of wine. Taking the time to research restaurants, and most importantly, making the effort to leave the tourist circle and explore will be worth it tenfold. In Florence, if you leave the Ponte-Vecchio central area and head to the hills, you will find the most flavorful homemade Italian food in the country. If you have a distant view of the duomo (rather than closeup!) while you are dining, you can be assured that the food on your fork is better too! If you come to Rome, it is of course necessary to visit the iconic sights such as the Forum, the Colosseum, the Pantheon, Trevi Fountain, and the Spanish Steps. Once you have done this, take some time to explore the lesser known parts of Rome too. A visit to the Christian Catacombs is one idea! You can descend a dark staircase into an underground world of intrigue, murder, and history. When you’re finished with that, take some time to explore the Appian Way. Religious or not, it is truly humbling to know you are walking on the same cobbled stones that Saint Peter did. While there are innumerable wineries you can visit in these regions, each offering vineyard tours and free samples, some are better than others. One place I can vouch for is Castello di Meleto, in the Chianti region. Here you can tour the grounds, enjoy the frescoes in this historic building, explore a subterranean wine cellar, sample some drinks, and roam a medieval castle! If the distant view of Mount Vesuvius looming over the doomed town of Pompeii does not intrigue you enough to pay a visit here, then maybe the beach will. If you like sunshine, ocean water, being surrounded by beautiful people, charming small towns, or sipping wine while sunbathing… then this town may be for you! Hotels with ocean-views can be pricey, but they offer ridiculously amazing views. If you’re on a budget, you can still make it to the many beaches nestled under steep cliffs. You can also hop a ferry or rent a car to take you to the ruins of Pompeii for a half or full day trip from this location. The ruins in the summer will make you very hot and sweaty, but coming back to the ocean breezes of Sorrento will be a huge relief. Most visitors to Italy make it a point to visit the city of Pisa and that one tower, and with good reason. However, after about an hour in the town of Pisa, many travelers are disenchanted by the sub-par, overpriced food, and want something fun to do. This is when you take a local train to the nearby town of Lucca, rent bikes for the day from a local vendor, and explore a charming old Italian town on two wheels. Stop for some gelato and a picnic on the way, and you’ll be set! Tip #10: Value the Small Towns! 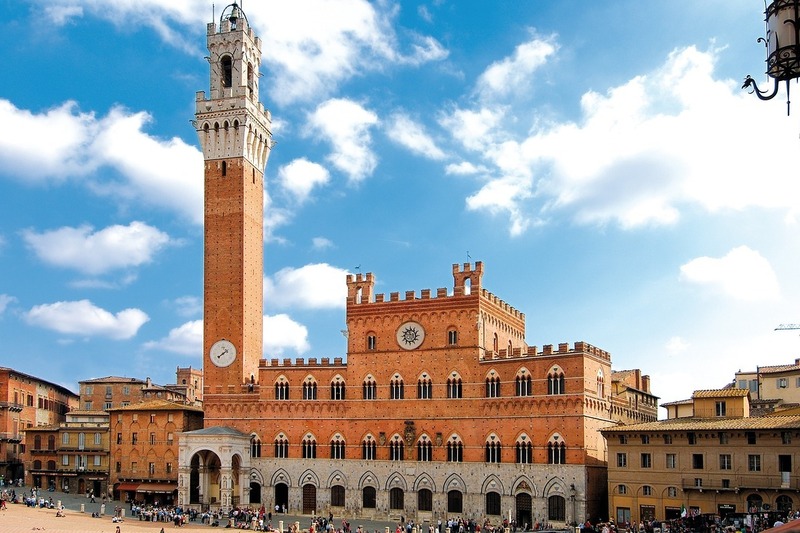 Anyone who visits Italy will want to see the famed and historical cities within its borders. However, the quaint small towns of this beautiful country cannot be ignored. No matter what kind of tour or schedule you have arranged for your Italian visit, be absolutely sure that it includes a visit to at least one small town. Some suggestions include Levanto and Bonassola (near Cinque Terre), and Tuscan towns of Montepulciano, San Gimignano, or Radda. Most tourists visiting Italy, unfortunately, seem to make no effort to learn the language. While it is easy to get by simply relying on English, taking the initiative to try using Italian will make for a better experience overall. Locals are more likely to be nice to you, and may even go out of their way to help. Asking a small town artist “cuanto costa cuesta?”, or saying “bellisima” while pointing at their painting, will lead to a far better interaction then a slow and loud “HOW. MANY. EUROS?”. Good places to start would be the Lonely Planet Conversational Italian Guide, or downloading the language learning app DuoLingo. As always, all reviews and opinions are my own- however this post does contain affiliate links and I will receive a small commission should you choose to book any of the tours or activities listed above. Wonderful insights and tips! Delightful photos! Thank you! OMG! The Blue Grotto has now been added to my bucket list! I’m saving this. Such great tips! A gondola ride at night is much more my speed, and would be more romantic! This is such a great list. There’s just so much to see in Italy. Thanks for sharing! Completely agree with all of these. In particular, I relate to the Florence food. Everyone thinks that Italy = pizza and pasta. Whilst this is true to a degree, there is so much variation between regions. The food that they cook in Tuscany (Florence) is not your standard, advertised Italian fare, It is so much more refined and delicious. Great post. I’ve done a few of these but not as many as I’d like! Loved our gondola ride in Venice (it was in the day time but that still counts, right?!) and wine tours in Italy are the best! Completely agree with your evaluation of Pisa too – get your pic, see the tower and move on – but I do recommend going at dusk/sunset as the place is usually empty and you can have it all to yourself! Great tips here! I would love to visit the cave in Capri, it looks so cool. That is so true about needing to research restaurants. I was so disappointed when I was in Florence as I expected the food to be amazing, but because we were going to cheap tourist restaurants, the food was really bland. This is such a amazing list n make a wonderful when we imagine this place. There’s just so much to see in Italy. Thanks for sharing! Thanks for the tips, especially about the town of Pisa. I love the idea of bike riding through the Italian countryside! What I love the most about Italy, are the small towns, they are my favorite treat!